Very few country pubs can compete with the character of The Chequered Skipper, sitting on the green of a village built entirely of stone and thatch. Fine cuisine, beers and wines await you at one of the finest country pubs in Northamptonshire. The Chequered Skipper in Ashton is a picturesque thatched country pub that mixes tradition with a light modern touch. We look forward to greeting you if you are looking for a complete dining experience, a venue for a family or corporate function or simply a place to enjoy a relaxing drink. 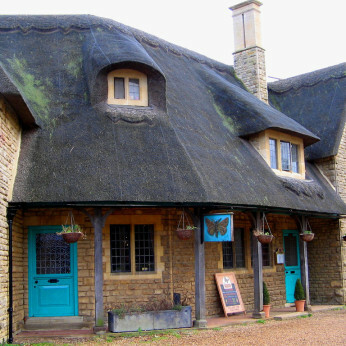 Located two miles from the market town of Oundle and twelve miles from Peterborough in East Northamptonshire, the Chequered Skipper pub and restaurant provides a warm, friendly atmosphere for visitors and locals alike.